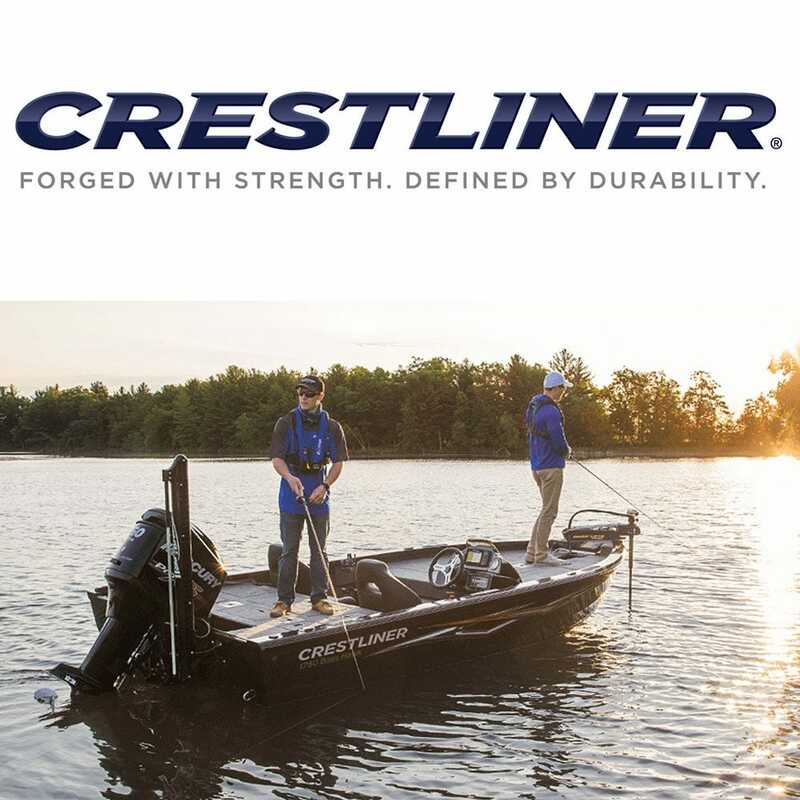 Crestliner boats continues to push boundaries by building aluminum boats with unrivaled strength, innovative fishing features and superior design. Crestliner has become synonymous with the world's most durable fishing aluminum boat. SUPERIOR DURABILITY; Crestliner combines premium extruded Crestliner boat parts with 65 years of experience to create a boat that stands up to the worst Mother Nature has to offer, and comes back for more year after year. EXCEPTIONAL DESIGN; No other fishing boat aluminum matches the exceptional design of a Crestliner that's built with the versatility and performance to go wherever you take it. From innovative designs to a legendary dry, stable ride; no one does it better than Crestliner. UNMATCHED VALUE; Unmatched value has been a hallmark of Crestliner since the day they built their first aluminum boat. They believe in building boats that offer more and do more at a competitive price; all backed by the industry's only "true" lifetime warranty. Save now on genuine OEM Crestliner boat parts for your Crestliner aluminum fishing boat, bass boat, pontoon or deck boat at Great Lakes Skipper.